There are currently 496 moisturizers available at Sephora.com. Choosing a facial cream can be exhausting. You really have to know your specific needs (anti-aging, acne and blemishes, dryness..). You gotta research ingredients that are necessary to your needs, and start reading labels. Customer reviews and personal beauty blog posts are an excellent way to narrow down your search. How many stars does the product get? What are 'real' people saying? I'm a self-declared product junkie and think these hydrating products are worth a mention.. This is intense hydration - Peter Thomas Roth Water Drench Hyaluronic Cloud Cream is a concentrated 30 percent hyaluronic acid cream. Hyaluronic acid is a potent hydrator that can retain up to 1000 times it's weight in water. If water was creamy- this would be it. It's so refreshing, and leaves your skin feeling silky and super-nourished. The non-greasy cream absorbs fairly quickly (a little goes a long way), and doesn't leave your skin shiny. Water Drench is the perfect hydrator during summer. I purchased this a few months ago and couldn't stop applying it during the first week (2-3 times a day). It's addictive. I use the moisturizer when I plan to go bare, cause it's not thick enough to prime my skin for makeup. Bobbi Brown Cosmetics has been my go-to brand for years. The Hydrating Face Cream and Vitamin Enriched Face Base are two of my favorite BB products. 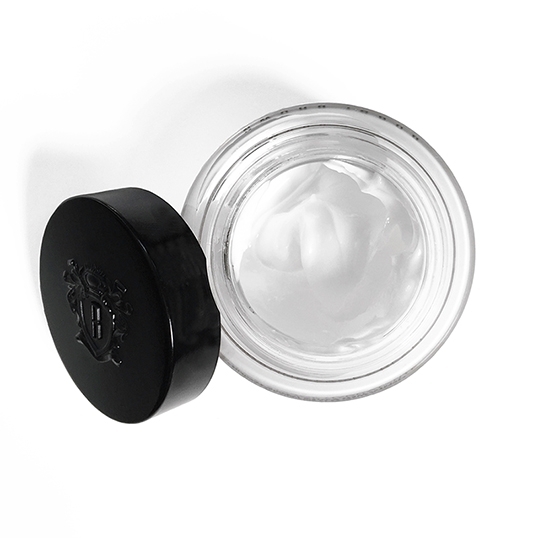 The Hydrating Face Cream absorbs nicely, plumps your skin, and creates the perfect base for makeup. This lightweight formula has a refreshing, masculine scent that diminishes quickly. It's also enriched with mineral water. I'm addicted to water (really) - I consume two to three liters a day. On the subject of anti-aging, water is your best friend. The Vitamin Enriched Face Base is an oil-free primer and moisturizer. Like the Hydrating Face Cream, this product hydrates and plumps your skin. It's much thicker than the Hydrating Face Cream and has a light, citrus scent. I use the Vitamin Enriched Face Base if I need super-nourishing, and plan to pile on the makeup. I love this brand - so does everyone else. The oh so popular Glossier brand prides themselves on a no-makeup-makeup kinda look - a natural girl who doesn't fuss over perfection. Don't we all wanna be that girl? Glossier Priming Moisturizer and Priming Moisturizer Rich hydrate and prime your skin for makeup (or not). Priming products simply nourish and plump your skin, giving you a healthier look, and preparing your face for easy makeup application. The Priming Moisturizer contains Hyaluronic Acid, Mushroom Super Hydrator and Vitamins A, C and E. This lightweight formula is buildable and has a 'cream' scent. There's something to be said for products in tubes - you can really get down to the last dollop. The Priming Moisturizer Rich is much thicker and ideal for bedtime. It contains Red Algae Complex, Ceramides (oily waxes), Fatty Acids, Murumuru Butter, and Lavender Oil (could do without this scent). Like the Priming Moisturizer, this formula contains an anti-redness complex (I need that), and Oxygenating Agent. This is a 'luxurious face cream'. 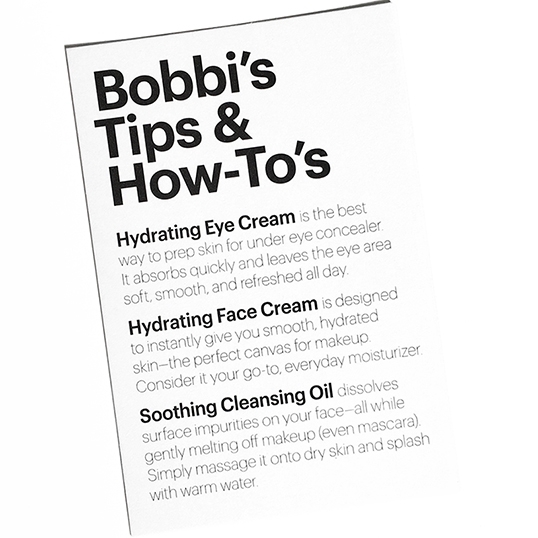 I have been using Bobbi Brown makeup for years; it's practically all I use. 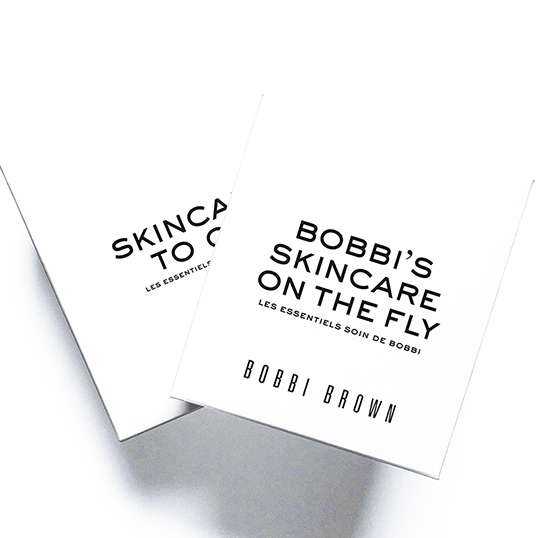 After recently dabbling into the Bobbi Brown skincare line (the Miraculous Makeover Mask Trio), I decided I'm loving this stuff and gotta see what else there is. This Skincare On The Go kit is excellent! I was hesitant to wash my face with cleansing 'oil', but after a week of no pimples or extra oily skin, I'm hooked. The smell is refreshing, and your skin feels super soft. The Hydrating Eye Cream and Face Cream are amazing too. They have a creamy-jelly texture that absorbs quickly and leaves your skin bright and plumped. These creams are excellent under makeup. They create the perfect, nourished canvas for better makeup application and an even look. The Hydrating Face Cream quickly became my favorite. I've already purchased the full-size face cream (pictured above) and plan to buy the Cleansing Oil in the near future. Bobbi Brown sets are a great way to try a number of products, at a fraction of the cost. If you don't like them or they disagree with your skin, you didn't invest 'too' much money. If you like the products, even better, cause now you have mini versions for travel.